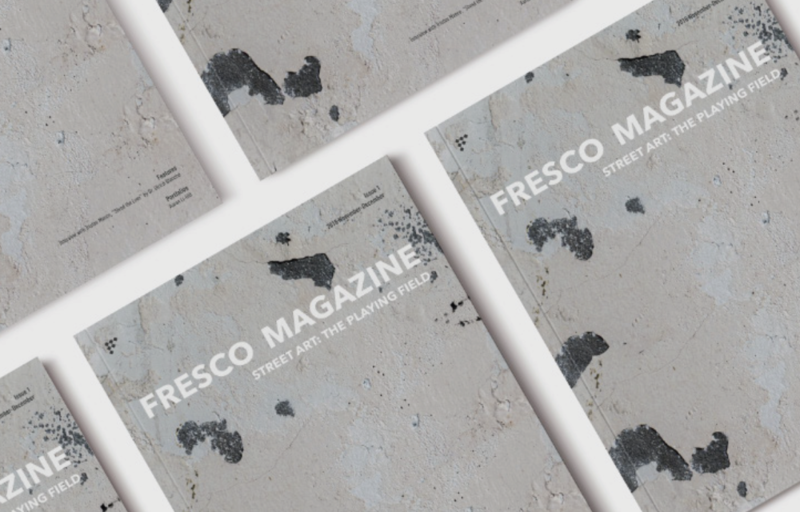 FRESCO Collective is affiliated with FRESCO Foundation, a New York-based non-profit organization devoted to empowering and connecting art to everyone. The Foundation supports innovative artistic endeavors in various forms, with focuses on socially engaged art and the intersection of art and technology. To access the program brochure, click here. For individuals wishing to explore the non-profit sector, this position navigates you through the research, programming, and development departments in three months. Interested and qualified candidates should send your resume and cover letter to info@frescocollective.org by April 10, 2019. Your email should be titled as the position you apply for. Only competitive candidates will be invited to an interview in late April. No walk-in or phone calls, please. The position will be part of a collaborative archive that aims to build up comprehensive accounts for the currently understudied fields in contemporary art, with a focus on Artists and Art Terms in both Street Art and Time-Based Media Art. Your responsibilities include conducting research on artists, write biographies, and interview artists or associated art professionals for each entry; Study major journal articles and blog on the research topic and propose essential terms; Maintain close contact with partnering organizations to obtain information and keep entries updated; Work with the programming team and develop public programs based on the archive. An ideal candidate should have a Bachelor's degree in Art History, Museum Studies or related fields; Knowledge of and passion in either Street Art or Time-Based Media Art research project; and extensive experience in research and writing. The individual should have a good understanding of FRESCO’s research themes--currently Street Art and Millennial Culture and Time-Based Media Art--and work closely with the research and programming teams. Responsibilities include conducting research and prepare grant proposals, supporting documents, and follow-up reports to the funding entities; maintain and implement funding calendar activities; develop membership programs and annual benefit auctions; and engage with program officers at organizations to solicit invitations to submit proposals; and serve as a liaison to members and funding organizations. The ideal candidate should have a Bachelor’s degree in Art History, English, or equivalent work experience in grant writing and development, plus excellent skills in researching, analyzing, writing, and verbal communication. Programs include the Street Art Festival, Dusky 45 Call for Event Proposal, Archive Projects of both Street Art and Time-Based Media Art Researches, and the regular FRESCO Talks and Podcasts. The assistant will work with FRESCO’s research, development, and marketing team to devise and implement the programs of Summer 2019. Responsibilities include propose ideas for events and programs that engage the public with the arts community; work with the team in planning, coordinating, and implementing the summer programs; interact with the public and the artists, curators, and donors involved in the program; and craft and track the post-event publicity and guest responses, and report feedback to the team. The ideal candidate should be creative, flexible, able to multi-task, and have a good understanding of FRESCO’s missions and research themes--ongoing ones are Street Art and Millennial Culture and Time-Based Media Art; have Bachelor's degree in communications, arts administration, or relevant fields; experiences in arts and cultural administration, non-profit and public sectors preferred; excellent interpersonal communication and organization skills.